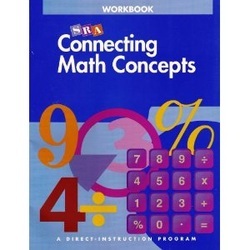 Like Math Focus, Connecting Math Concepts focuses on the big ideas of mathematics. However, our class takes a completely different approach based on the principles of Applied Behaviour Analysis and Direct Instruction. With Direct Instruction, the teacher explicitly explains a particular skill or concept. Next, the teacher demonstrates the necessary steps for mastering the skill. Guided practice with the students then takes place. Finally, students are given a limited number of sample problems to complete independently. Students move forward in small steps, learning and applying many topics in each lesson. Students learn in less time and remember more. Lesson format is predictable and students have many opportunities to answer questions, display their knowledge and receive corrective feedback. We are working on Level D. Each student has a textbook and workbook. The class is separated into two small groups - Grades 4/5 and Grades 5/6. Each group has two math lessons per week.